If you are looking for a way to keep things organized and make the most of your space at the same time, this double-sided cubby storage is an excellent option. Palette Envision Library Shelving from Russwood is designed to update your media center for today’s flexible and collaborative styles of learning. This modular system comes in a selection of vibrant colors with complementary classic laminates, sure to appeal to students and encourage them to come in and collaborate. Unlike rigid floor-to-ceiling library shelves, this modern collection allows for flexible arrangements enabling you to create different learning zones. Choose between single- and double-sided units in a selection of heights and sizes to fit the unique requirements of your space. 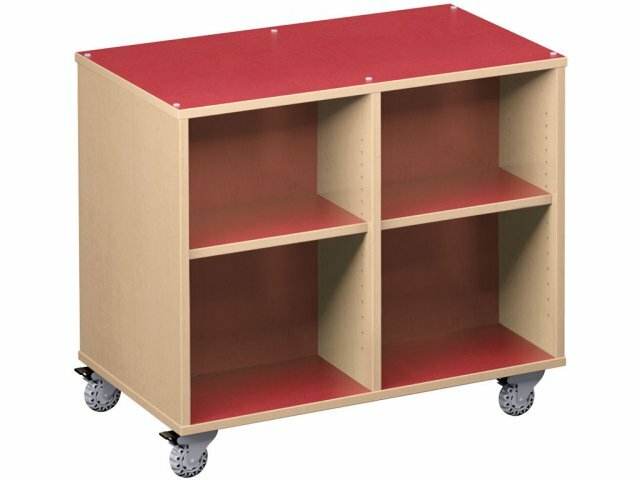 A high-pressure laminate finish with PVC edge banding ensures that this shelving will be supporting books and creating effective study spaces for years to come. Russwood Library has been manufacturing top-quality library furniture since 1966. 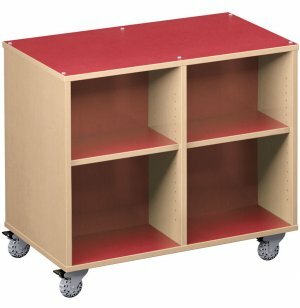 Their special combination of long-lasting construction and beautiful styling will compliment school, office and public libraries of all sizes. 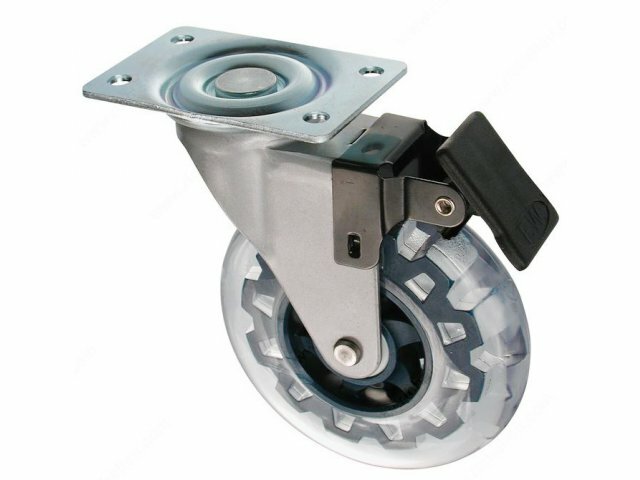 Smooth Rolling: Glides on four, 5" locking swivel casters. Perfect Fit: Available in a selection of sizes and styles in single- and double-sided designs. Modular Design: Choose any number of units, with the option of adding or rearranging at any time. Smooth Finish: High-pressure laminate finish with 3mm PVC edge banding will stand the test of time. Durable Build: Metal-to-metal hardware connections ensure sturdy support.